It’s that time of year again. School is letting out and school districts need to start thinking about next year’s hiring needs. However, if you’re a smaller district, it can be difficult to attract and retain top talent. 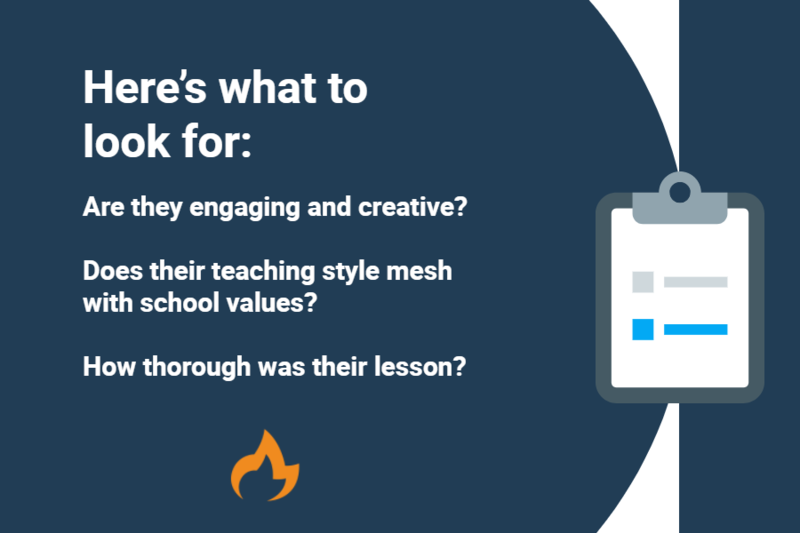 If you’re going to find the right teachers and support staff to make your school successful, you need the best hiring resources for education. Take the Tulpehocken Area School District for instance. The small district of three schools greatly improved its hiring process by adding technological resources to their talent acquisition strategy. Once they began using video interviewing, they were better able to assess candidates and determine if they’d be a good fit for the schools. Now that video interviewing is part of the district’s hiring plan, they can confidently fill all their open positions each year. So far, Tulpehocken Area School District has completed 166 interviews and hired 12 individuals for roles such as administrators, teachers, secretaries, and custodians. In order to hire and retain the best teachers and staff members you must understand your district’s unique needs. Think about the status of your teachers. Are teachers planning to retire or move out of the district? Knowing this information will help you determine how many positions you need to fill before the new school year. Aside from filling the vacant roles, the other thing you have to consider is the traits and skills you’ll need. As any good educator knows, a teaching license isn’t the only requirement for a teaching job. Depending on the position, there are different types of personalities and skills that will be the best fit. 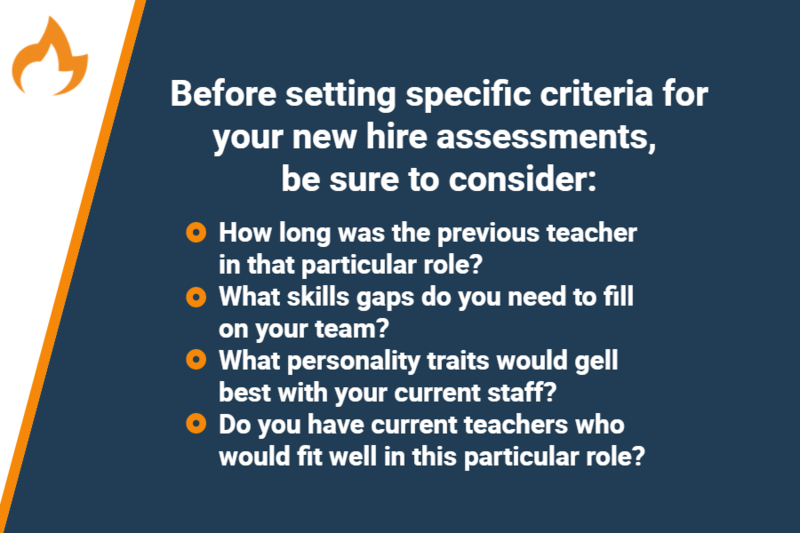 Once you’ve identified the exact grade level and/or subject you need to hire for, the next step is to look at your current pool of employees. Identify what traits have made them successful. For example, if you’re looking to hire a third grade teacher and currently have one who has been with the school for 15 years, think about what makes him or her unique. Then put these types of qualities on your list of hiring criteria. Typically, small districts are operating on smaller budgets and don’t have the specific hiring resources they need to make the most informed decisions. This makes it difficult to sell your districts to teachers. For instance, being in a small, rural town, it can be hard to attract young talent who prefer the excitement of a city. By knowing about these concerns up front, you can find a way to highlight what your district does have to offer. Don’t try to hide the negatives of working in your demographic area. Instead, focus on finding talent who would appreciate these factors. Single, young teachers might not be interested in living in your rural district, but people with a family may be. Look for that type of talent instead. Every work environment has a company culture. Schools are no different. However, people are unaware of what type of culture makes their school unique. What does everyone talk about in the teacher’s lounge? How do you approach educating your students? How do you define school pride? What does everyone love most about the work environment? Hiring for educational positions is not the same as hiring for other jobs. The approach and resources you use should be different. To effectively find talent, you need to understand these distinctions. Job descriptions for an educational role might seem cut and dry. You list the responsibilities of the job and the needed experience. But keeping things this simple will not help you find the best educator for the job. Excite talent about your school. Include information about the culture that you identified. Talk about what makes your institution a unique and great place to work. This will attract better suited talent who will love working for you. Nobody enjoys the job search. It’s long, arduous, and full of disappointments. If you can make the process a little easier, it will really be appreciated by your candidates. Accomplish this by implementing video interviews for the initial screening round. Teachers are very busy and have classes at different times. Plus they are often committed to after-school activities, acting coaches or event volunteers. Video interviewing allows them to respond to your questions when it’s convenient for them. This means nobody has to waste time scheduling a phone interview. The candidates can record their responses when and where they are comfortable. The convenience for reviewing the responses means hiring decision makers can respond faster. In fact, a 2015 report from Software Advice, an interview software consultancy, found that once a candidate has been through a video interview, nearly 50 percent prefer it over a phone interview. The longer the hiring process takes, the more resources and employee time is wasted. Any inefficiencies in the process also means wasting hiring funds. And if the candidate ends up being a bad fit, outcomes are even worse. One of the most time consuming parts of the interview process is scheduling. Emailing back and forth to find a time to speak face-to-face with a candidate can take days. However, if you use the right interview scheduling tool, that is cut down to mere minutes. When you find a qualified candidate, send them the link to your calendar. They can find a time that works for both of you and request an interview. This keeps your schedule organized, while eliminating the time you use to spend managing it. By expanding your search to other areas, you can find the talent you need. However, putting your job descriptions up on national sites isn’t enough. Start an employee referral program to tap into quality talent around the country. 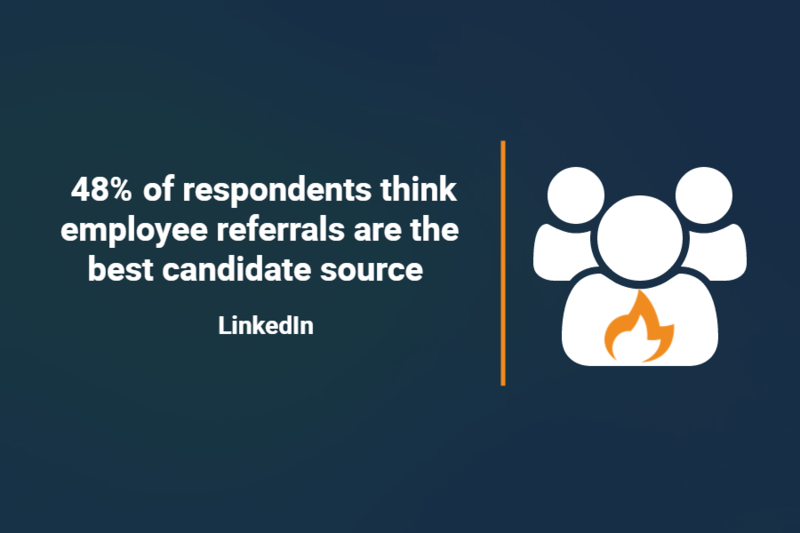 After all, 2017 LinkedIn report found that 48 percent of respondents think employee referrals are the best candidate source. It’s important to be as transparent of your hiring needs as possible with your entire team. Let your current staff know about the exact positions you have open for the coming year. Provide them with a link of candidate resources they can share with their referrals. Highlight key skills and personality traits you’ve already identified are successful in the role. Make them aware of hard requirements for the position and those you can be flexible on. Then, give them all the link to your interview scheduling page. They can then pass it along to people they know who are looking for new opportunities. Since your employees already know what it’s like to work for your district, the candidates you receive will be informed about the work environment, making it less likely for them to turn down an offer. Teaching is the perfect job for a skills test. In fact, it’s one of the most important careers to apply skills testing. However, a December 2016 report from the Center for American Progress states fewer than 20 percent of the districts surveyed required applicants to perform a demonstration lesson. The report also says many school leaders wished they had requested demonstration lessons when considering applicants. After you switch to video interviewing, ask candidates to give a short lesson. Let them know ahead of time what topic you’d like them to cover so they can prepare. This will give you a better idea of how they approach teaching. There are always ways to improve the hiring process. By looking at hiring data, you can identify changes you need to make before next year. Hiring is a science. There are patterns that occur, and if you understand them, you can better predict great hires in the future. But first you need to track quality of hire metrics. Comparing these factors will show you insights that help you identify great talent. For example, if you hired a particularly great teacher last year, look at what stood about him or her in the interview process. How did you find the candidate? Did they answer interview questions in a specific way? As time goes by, you can look back at how some of your most loyal and successful employees did during the hiring process. A great video interviewing platform allows you to make notes about what a candidate did or said. You can revisit those videos and compare them against your current batch of candidates to see who has similar traits. Tracking quality of hire metrics will also show you where there are holes in your process. You’ll see what led to bad hires and be able to correct those mistakes immediately. For instance, if several candidates, who eventually left the school, gave a stellar answer to a particular interview question, stop asking that question. It’s drawing you to the wrong type of candidate. Identifying what works and what doesn’t will also help you streamline the hiring process. You’ll be able to cut out steps that are ineffective. The hiring team will also be able to spot great candidates sooner. The best part: this will impress the best candidates. 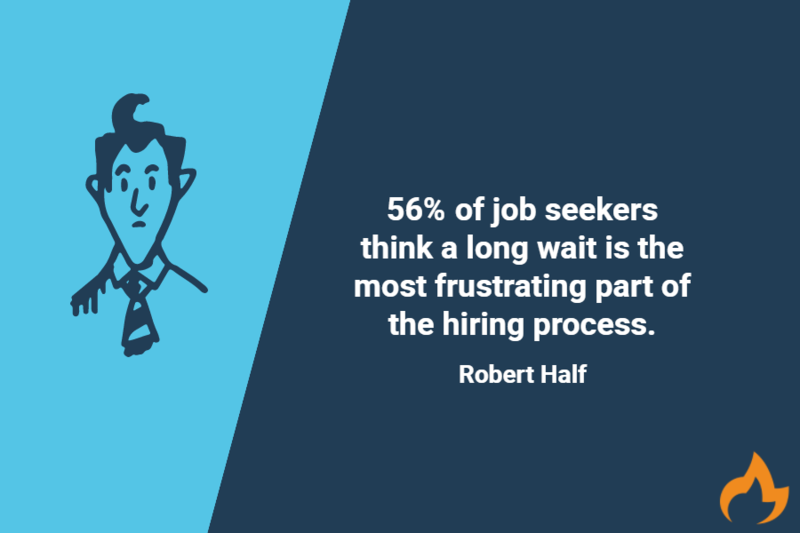 A 2016 Robert Half survey found that 56 percent of job seekers think a long wait is the most frustrating part of the hiring process. By moving quickly, you’ll have happier candidates who will quickly become happy employees. Having the right hiring resources for education can make or break a small district’s ability to find the employees they need. But by following this guide you’ll be able to identify what positions you need to fill and effectively move through the hiring process.